students, time ceases to exist. I go to a magical place where that all that matters is helping a student become a great reader as well as helping them discover the joy of reading. Oh, and I teach math, too. This is basically how I have always viewed my teaching day. Math was something I got through so I could get to reading. My philosophy for teaching reading is individualized. I use Reading Workshop where students choose what they read and I work with them to insure comprehension. After I do a mini lesson, I set them free to apply strategies and read! They’re good readers not only because they get a chance to read, but because they work with me one-on-one or in small groups. Also, I constantly change the dynamic so strong readers work with struggling readers and vice versa. It is a time of concentration, learning and joy. 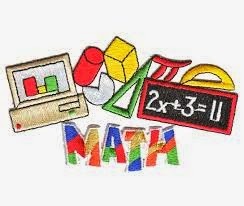 I have never had a passion for math. Without a burning desire to teach it, my math instruction is minimal at best and the students typically learn in spite of me. Yes, I follow the teacher’s guide and pull out the manipulatives. I do everything the math teacher’s guide says to do, but it is dry and lacks imagination or any of my personality. When I reflect on who I am as a teacher, I see a plethora of amazing reading lessons that are alive, creative and memorable. I never see math – ever. So, I thought I should change this. Don’t good teachers look for ways to improve? Maybe it was time to look at math. When I think about my philosophy of teaching reading, one word jumps out! Individualized! Why couldn’t I do this with math? How would I do it? Could I do it? When I hit long division in the text book, I realized it was time for a change. It seemed to be a pivotal moment. It all fell into place for me. There was the group that easily and seamlessly grasped concepts and needed a much faster pace. These were the students who effortlessly applied the skills to problem solving. They were bored. Next, there was the group in the middle. These were the students who moved at a consistent pace and only occasionally struggled. Finally, there were the students that were overwhelmed and confused and needed more instruction, but were usually embarrassed to need help so much of the time. It was time for a change. To implement grouping and individualized instruction, I used what is After mini lessons, the students have “to do” lists and choose the order in which they will complete tasks. During this time, I pull kids to work with me. No one ever sits and waits; they know what to move onto if I’m busy or they are finished. During this time, I started pulling kids and working with them in math. They were a bit surprised, but easily adapted to whatever I told them we would work on together. By the end of a week, the students were accustomed to me pulling them to work on both reading and math. I was individualizing both reading and math. Granted, the students figured out that some of the students were accelerating in math, but they also know the rule in our room. MYOB! Mind your own business. Everyone learns at his or her own pace and we celebrate each other’s milestones. While working with my struggling math students, I noticed they asked more questions and displayed less stress. They felt safe because we were working together without feeling intimidated by the other students. We also laughed and smiled more. Math was fun. I was finding my way to creativity because I put down the darn teacher’s guide! Lately, we find ourselves exclaiming more and more, “Where did the time go? The morning is over already?” Our daily “to do” list includes our math work so that the students who can accomplish tasks easily, finish and move on – no more waiting or boredom. 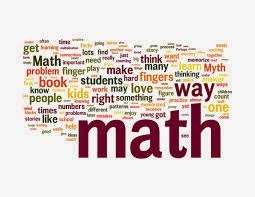 The other students are feeling more comfortable without the pressure of a “set” math period and know I will work with them for longer periods of time, if that is what they need. Does it always go well? Nope! I have days where I feel overwhelmed by juggling it all, but in the end, I know it is best for my students. Will I ever love math the way I love reading? It is a good bet that I won’t, but the students deserve the same level of commitment from me. Now, when I think of who I am as a teacher, I’m a math teacher, too. Thanks for sharing you thoughts and congratulations for your success. I enjoy very much maths and struggle a bit with reading, so the opposite to you. Can you put an example of the "to do lists" for your kids to complete? I thinkk its a good idea but I need and example to fully understand it. Thanks again for sharing your thoughts and ideas. The "to do" lists include a wealth of activities and changes daily. For example, they need to visit the Word Study center or read and comment on blogs on the computer. They have an Active Reader's Report where they reflect in writing their comprehension. Some may have an End of Book letter to finish. We may include work from grammar or editing an essay. This just a sample of the various elements of the curriculum. Thanks for stopping by and asking a question. I appreciate it. I think I spend most of my day focused around reading too. I love to create Reading Centers (and probably expend my energy doing just that). You inspire me to set up my math this way too! When return after vacation I resolve to 'be a math teacher too'. Thanks Nancy. Thanks so much for the support. I would love to hear what you develop/implement. I'm still looking for ideas too! Thanks for stopping by and commenting. I like the idea of the checklist. I teach computers and never have all my students finishing at the same time. This is something I could easily put into my classroom to keep students more actively engaged. Thank you! I just read your three most recent posts. It's been a little while since I've checked in with your blog. I'm still impressed with your passion and reflections! The world is a better place with you as a teacher. Your reflective nature and desire to be the best you can be inspires others. Loveyourarticle! What do the advanced students do when they finish and you're still working with the other groups?